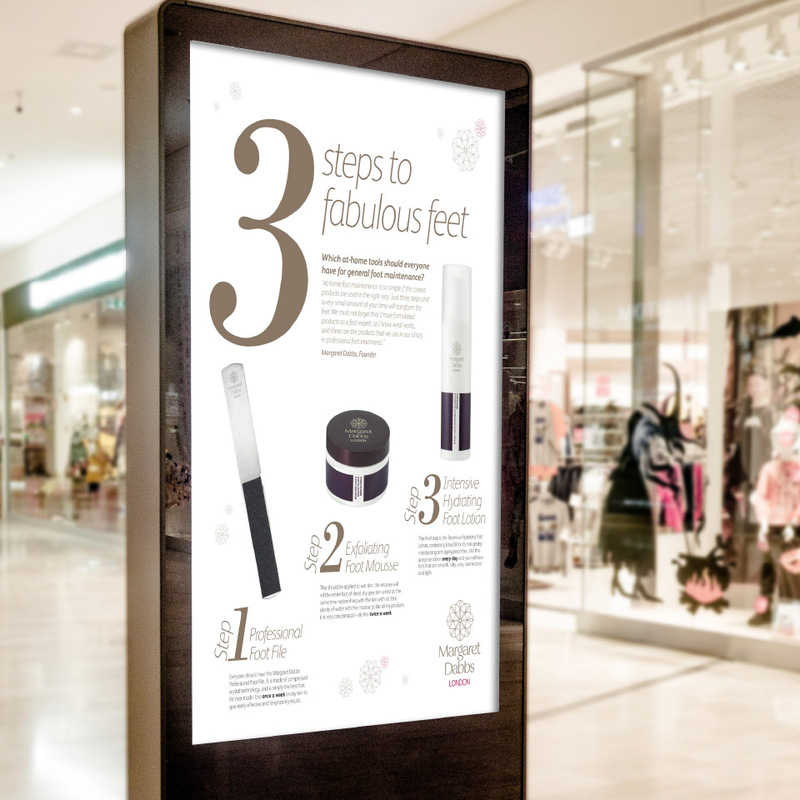 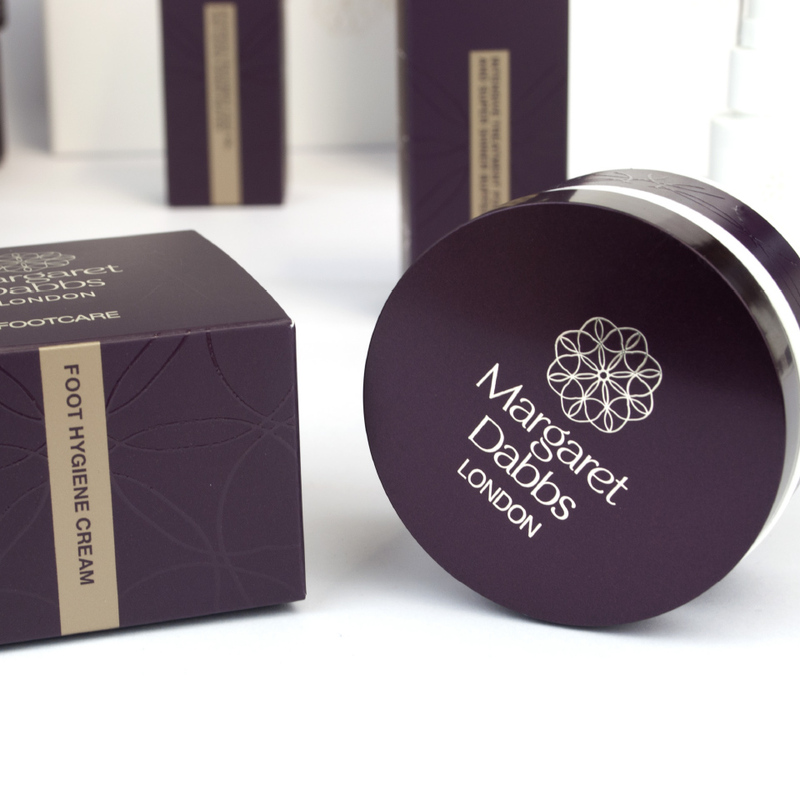 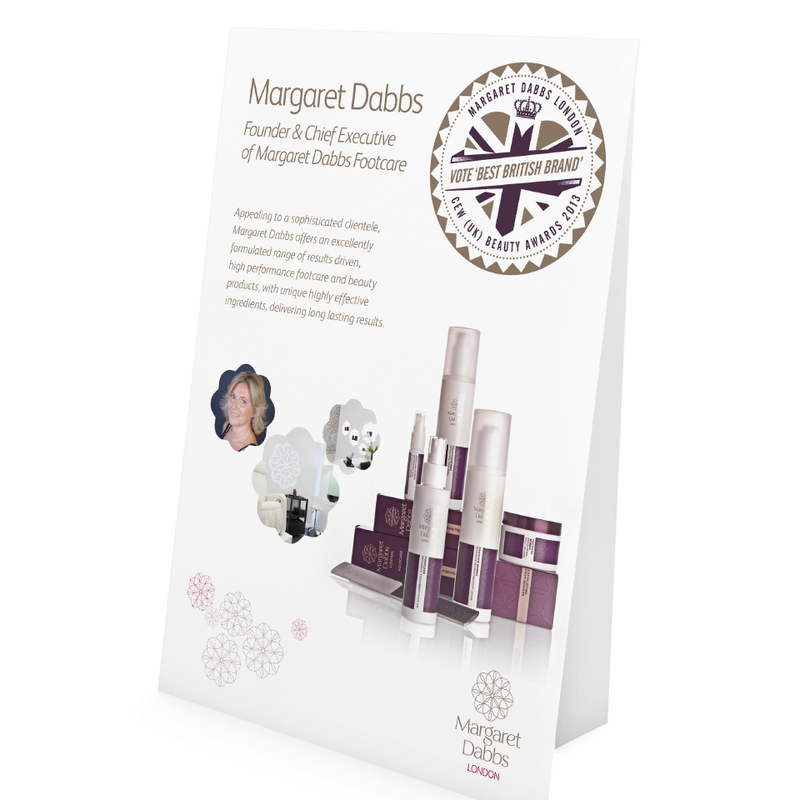 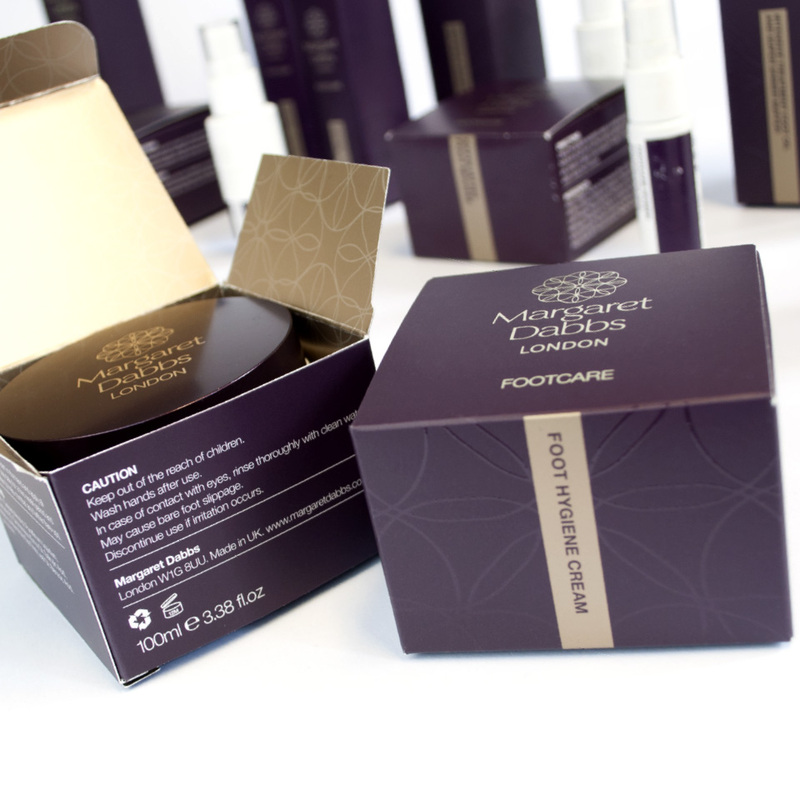 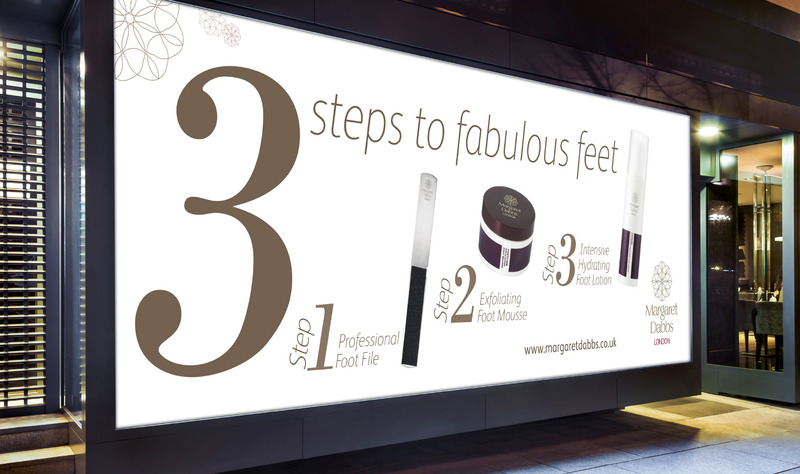 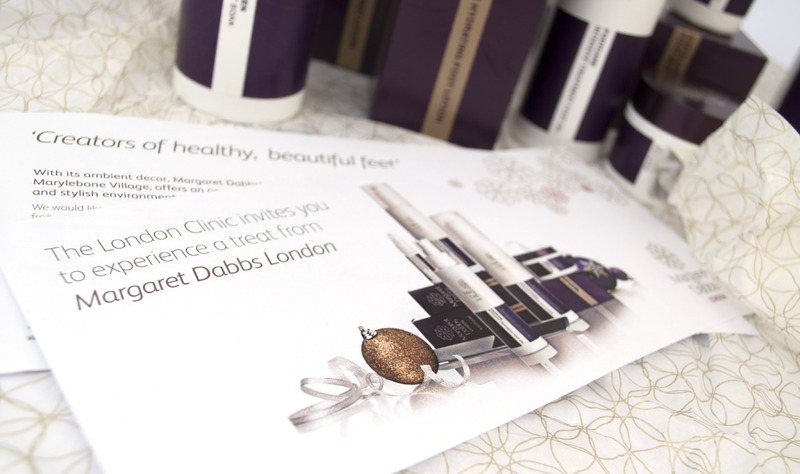 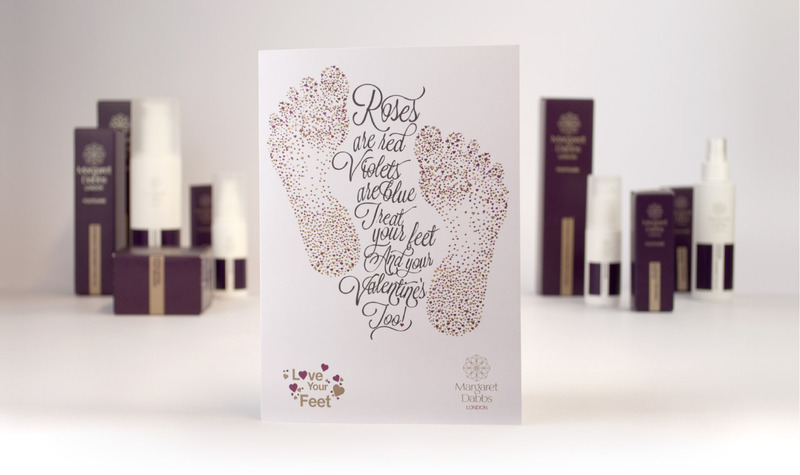 Acting as Brand Guardians for renowned celebrity foot expert Margaret Dabbs we have produced an extensive range of materials, bringing a touch of luxury to the consumer at each interaction. 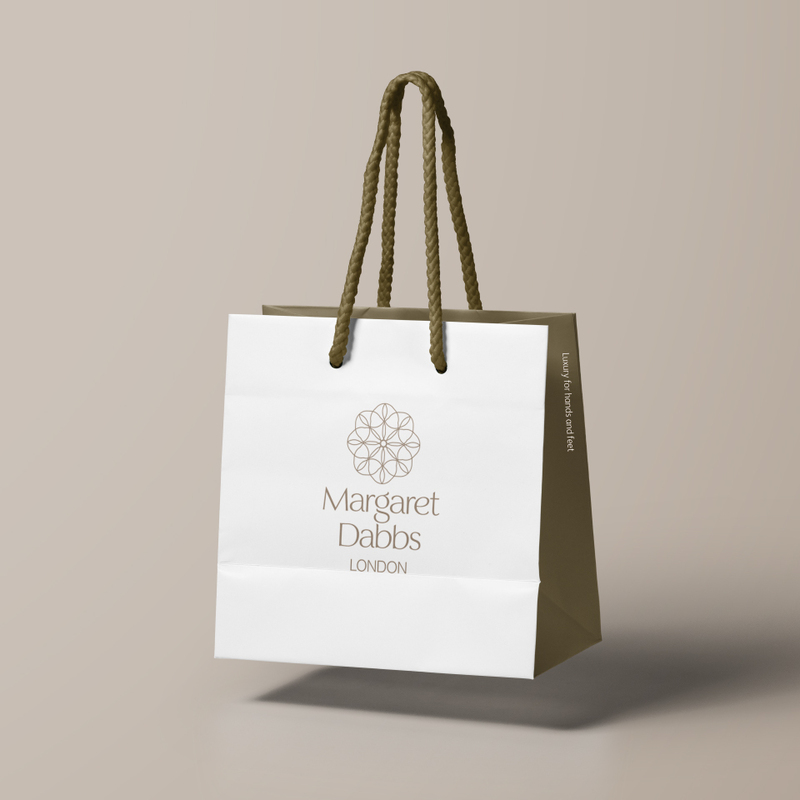 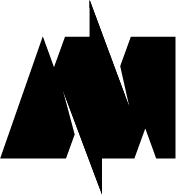 From high-quality product packaging, seasonal campaigns, through staff protocol documents and advertising, we have helped transition the identity into a high-quality international brand. 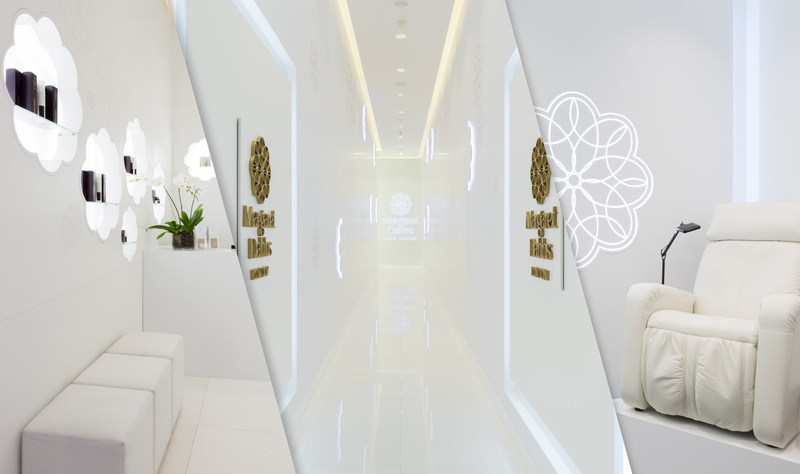 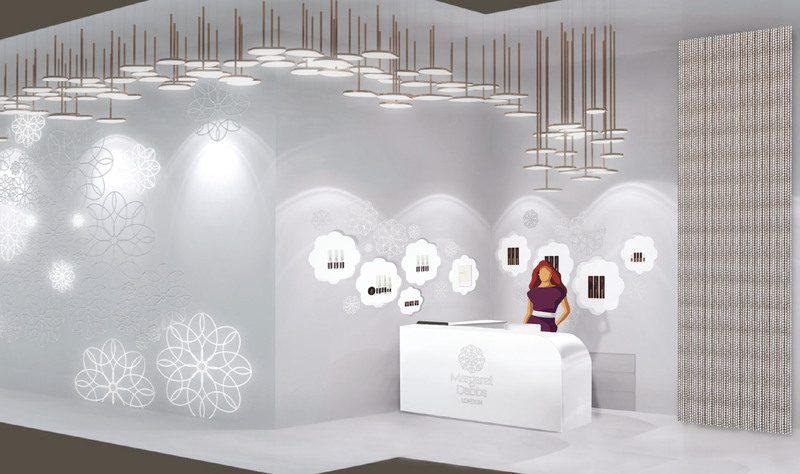 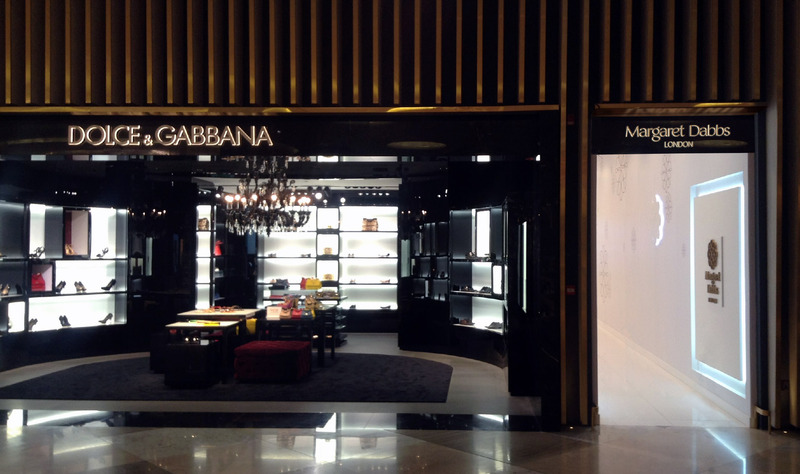 We were hugely privileged to help develop and realise Margaret’s vision of her brand identity into her flagship spa experience at The Level Shoe District in the Dubai Mall, Dubai – the world’s largest shoe emporium within the largest shopping mall in the world. 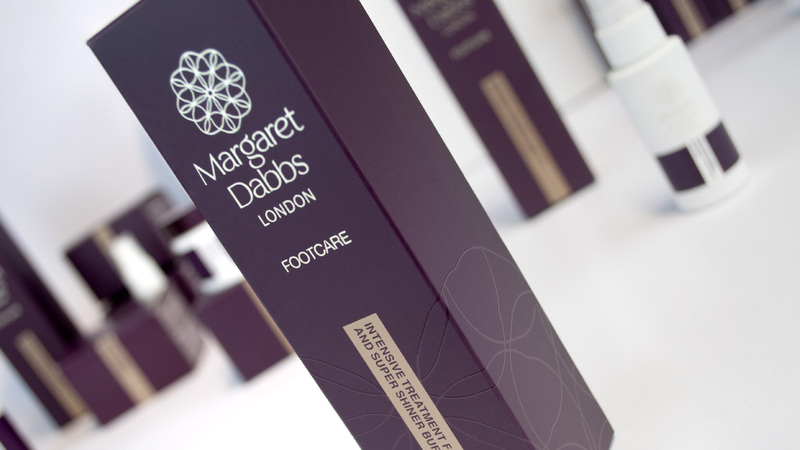 The styling of bespoke shelving displays and branded spa features are being used as signature themes rolled out across Margaret’s other Spas and future developments.